Who We Are | M. Ludwig & Associates, Inc. Prior to creating M. Ludwig & Associates Inc. Case Management Services, Michele Ludwig spent over 16 years working with agencies that provide mental health services in San Francisco, Marin, and Sonoma Counties. She began as a client advocate and then became a counselor providing direct services to people with persistent mental illness. In 1996, she became the Program Director for three Residential Support Services programs. These were 24-hour facilities managed by Buckelew Programs of Marin. Michele gained immeasurable knowledge and experience during those years and confronted the day-to-day hardships, challenges, and obstacles faced by individuals with mental illness. While Program Director at Buckelew Programs, Michele developed extremely productive working relationships with many community agencies, including Marin County Community Mental Health Services (CMHS), Marin County Psychiatric Emergency Services (PES), the CMHS Medication Clinic, Marin General Hospital’s Unit A, Marin Community Clinic, Marin County Housing Authority, Marin County Jail and Probation Office, and various police departments in the county. Through her many years of providing direct services and supervision, she saw the benefit for people to be able to have individualized services according to their needs which was not always possible via a large program or service provider and thus, M. Ludwig & Associates, Inc., case management services was born. Throughout her 24 years experience supervising and training staff and psychology and occupational therapy student interns, Michele’s emphasis has always been to encourage staff and interns to bring to each person with whom they work the most honest and practical approach in which to best serve clients. This approach is built on the foundations of professional knowledge, personal dedication and compassion. Michele continues to work with many private and county psychiatrists, physicians, therapists, and programs in the Bay Area. 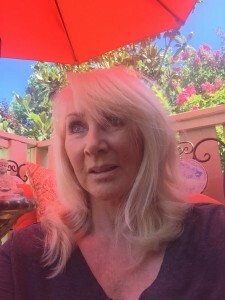 Moreover, since her private practice developed she has utilized and collaborated with National programs and agencies including Menningers, Creative Care of Malibu, and Pasadena Recovery Center. These successful relationships have also served to build further professional respect for the dedicated work done by M. Ludwig & Associates to provide the best services possible for individuals in need of intensive support to manage the highest quality of life possible. The relationships built with many resources around the country continue to be an asset, as specialized programs are sometimes required to meet the needs of specific individuals. Janis has worked with programs providing services for adults with mental illness for over 30 years as Sr. Clinical Care Manager for MHN in San Rafael, as Program Director for Buckelew programs in Marin, and as the Clinical Director for the Juneau Alliance for the Mentally Ill. She is the Chief clinical consultant and supervisor for M. Ludwig & Associates, Inc.
Dr. Barshack has over 20 years experience providing psychiatric care. He has a private practice in psychopharmacology in Marin and Sonoma County and was the Medical Director for Marin General Hospital’s psychiatric unit for 15 years. He specializes in the treatment of individuals with acute and chronic mental illness. Dr. Scott Barshack is available to M. Ludwig & Associates, Inc. for psychiatric consultation. Paul is a co-founder of M. Ludwig & Associates, Inc. and serves on the Board. He has over 20 years experience as a Psychiatric Technician and Addiction Specialist, and currently works at a treatment program for Veterans of the Iraq and Afghanistan wars who are suffering from Post Traumatic Stress Disorder. He provides ongoing collaborative consultation to M. Ludwig & Associates, Inc. regarding direct care services and treatment plan development. Most referrals to M. Ludwig & Associates Inc. Case Management Services are through clients’ psychiatrists, physicians, therapists, Hospital Psychiatric Units, and/or other Mental Health programs and providers. However, all inquiries from individuals who may wish to receive case management services or from concerned family members and friends are welcome.